A largely unnoticed and unremarked upon drift of power has been taking place within our democratic system for more than 30 years. It is mostly a result of the unintended consequences of the Watergate reforms. These reforms were meant to punish the political parties for multiple abuses of the powers that had accrued to them over time. The punishment exceeded the crime by largely destroying the parties’ longstanding ability to recruit and slate candidates and to fund and manage their campaigns. The reform took away the parties' near monopoly on funding campaigns, and all the other roles that attended that one went away as well. This meant that the people and organizations who had been funding candidacies indirectly could now fund them directly. An era of entrepreneurial candidacies began and was quickly squelched by the legislative leaders whose ability to control their caucuses was eroded by the candidates’ new freedoms. The leaders set up legislative campaign committees and re-funneled the money flow so it got to the candidates through them because they controlled these organizations instead of getting to the candidates directly. They became what the parties had been before they went too far. They became the rainmakers. This restored and enhanced their power. Once they got their hands on the money they took over the responsibility to recruit and slate, fund and manage from the displaced and weakened parties. Like most people and organizations who are given too much power they overplayed their hands. Toll booths were set up. 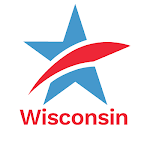 State employees’ jobs were expanded to include campaign work. And jail sentences followed. But, oddly enough, the power which had fallen into the laps of the legislative leaders pretty much stayed there. The parties did not resurrect. The crucial flow of the serious campaign money was not redirected away from the leadership offices. So now we have a new set of legislative leaders who have pretty much the same power those they replaced had and misused. Proof of malfeasance is not offered, but a weakened and understaffed print press corps has raised questions about why some legislation disappeared into wastebaskets in the leadership offices and other less or equally worthy proposals got what can only be described as favorable treatment in the chaotic last days of the legislative session. These stories are a valuable reminder that the most desirable side effect of having a vigorous free press is that its practitioners provide the great public service of seeing that those with power are turning square corners. Keeping track of your moneyTweet this!